February was the month of carnival this year in Brazil. For many, carnival means Rio, Samba, skin, and massive street parties. For me, carnival means so much more–it marks the moment Brazil captured my heart. I arrived two years ago, on February 20th of 2011, having received my Fulbright scholarship for Venezuela but ending up in Brazil due to an unexpected turn of events. So when I actually got here, I knew very little about Brazil; I didn’t speak Portuguese, or know the history, or understand the geography, and the only image I had of carnival was a mulatta in a glittery costume shaking it fast. 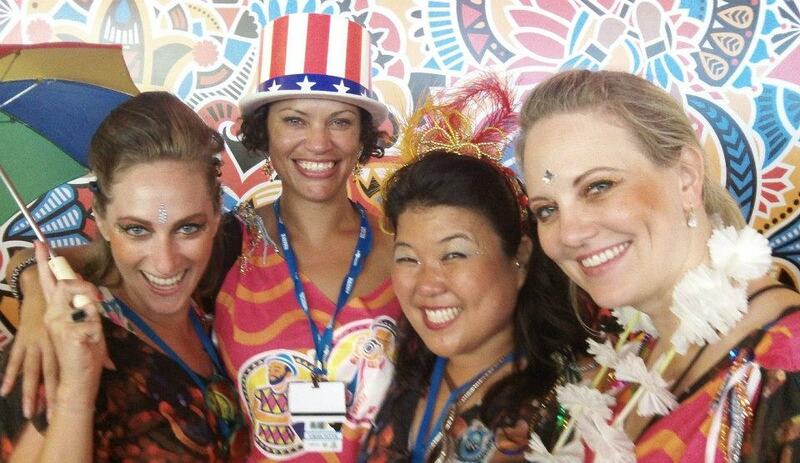 After the week of Fulbright orientation in São Paulo, we were sent to our respective cities right during the largest holiday in Brazil when everything shuts down and prices sky-rocket, aka carnival. Since I didn’t want to spend the week, or two, or three alone at the farm where I was living at the time, nor did I want to brave it alone in an expensive big city, I sent a desperate e-mail to my wonderful economics Professor, Patricia Schneider, who just happens to be from the capital city of the state of Pernambuco where I was placed. Since her family still lives in Recife, I asked her to put us in contact to see what they were doing and if I could tag along. To my delightful surprise and great relief, her sister, Maria Emilia, wrote immediately inviting me to stay at their home and celebrate the festivities with her and her family (her husband Marcos and their adorable son, Felipe). I bought my ticket and I was off to Recife/Olinda to be introduced to Brazil during its most-famed festival. Since the carnival most Americans are familiar with is a la Rio de Janeiro (the glittery half-naked one), I must clarify that the carnival in Recife/Olinda (twin cities of sorts) is very different. Where Rio is samba, Recife is frevo; where Rio is expensive and exclusive, Recife is an all-access street party; where Rio is sparking elaborate costumes, Recife is traditional maracatú. During the day partiers go to Olinda, a neighboring city famed for its status as a World Heritage site. Olinda is home of bonecos, large artisan-made dolls, that are marched through the lovely cobblestone streets past the preserved antique architecture. Then, in the evening and late into the night the crows head to the city center, called Marco Zero, to enjoy free shows by renown Brazilian and international artists and get some street food. 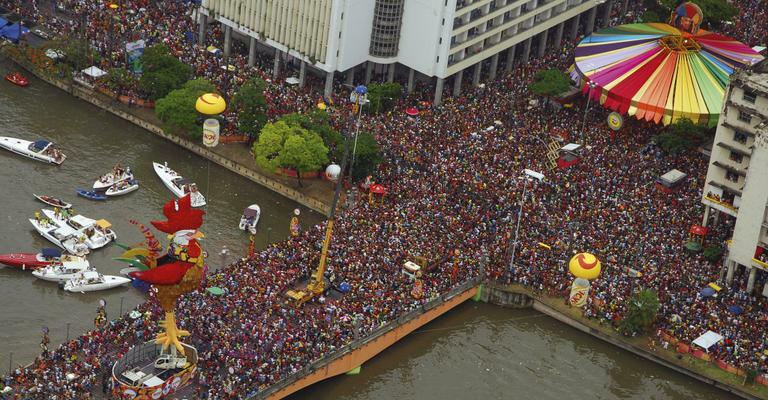 The Galo da Madrugada in Recife is the biggest street festival in the world. For the record– carnival anywhere in Brazil is incredible. To me, it is Brazil at its best; people of all ages, colors and socio-economic status dress up in costumes and hit the streets to dance, sing, laugh and kiss. It shows the happy essence of the Brazilian spirit. 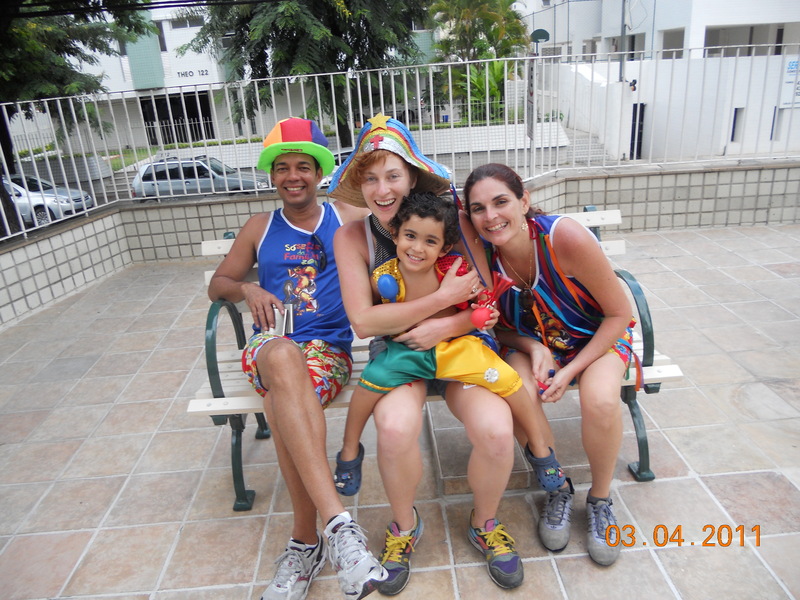 But what was most remarkable to me about carnival, and the reason why it will forever be the Brazilian holiday dearest to me, was not the parties on the street, but the way Maria Emilia, her family and friends, welcomed me into their homes and their hearts. Carnival was my first experience with Northeastern warmth and compassion. From the moment I stepped off the plane, I was cared for by complete strangers, taken in and treated as if I was a blood relation. I cried like a baby saying good-bye to the family I knew for a total of two weeks. In those two weeks they completely changed the way I saw the world! I cried not only because I would miss Maria Emilia and my new family, but also because I wished we lived on a planet where everyone were this open, because I couldn’t imagine how I could ever re-pay the kindness I had been shown and because I recognized that I had fallen completely and totally in love with a country that was not my own. 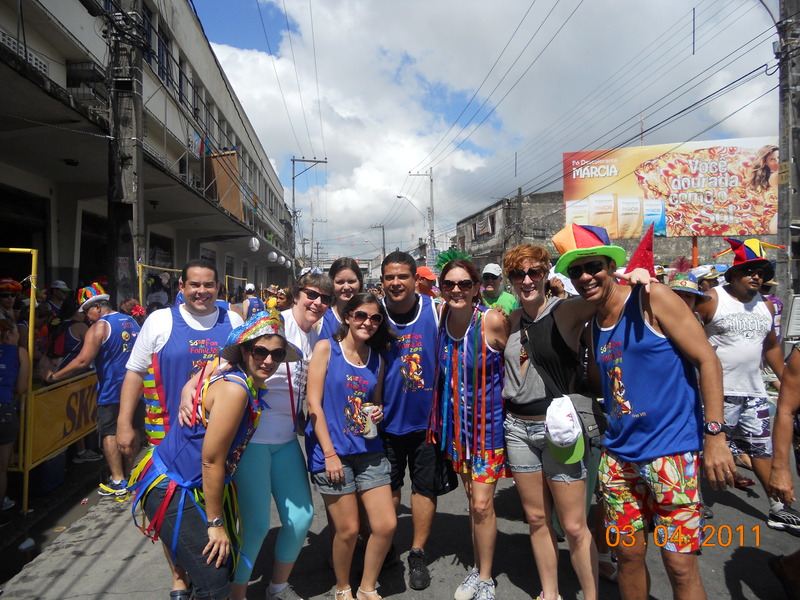 This year’s carnival 2013 with my American friends Usha, Laura and Heidi! 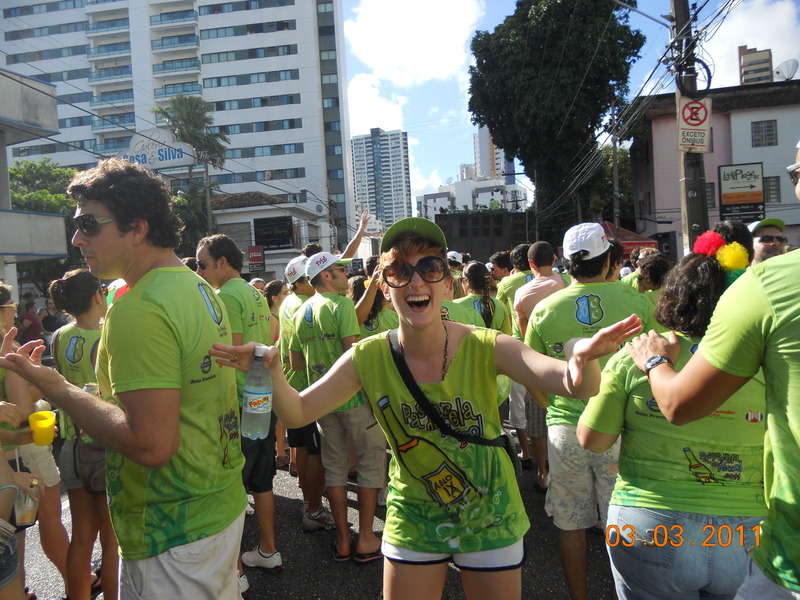 This year was my second year in Brazil and my third carnival. I returned to Recife/Olinda. Of course, as my relationship with Brazil grows and deepens, I experience the holiday differently. Still, what I will never forget aren’t the parties and the kisses (although they were pretty unforgettable, too), but the overwhelming amount of love I was given by people I had never met before. That is what carnival means to me.